While we can look at the BMW M3 or the BMW 7 Series as the Ultimate Driving Machine and realize it’s a sports car that’s disguised as a sedan with the powerful engine and the driving dynamics we love, sometimes it just more fun to have a car that shows you it’s the right car for the fun you want to enjoy. The new 2019 BMW Z4 M40i is going to be offered on the market later this year to be the car that will give you the power you’re looking for, the driving personality you want, and the qualities that make a huge difference on the road. Recently, the new BMW Z4 was spied testing on the tracks at the Miramas test center in the south of France. This test center is one that BMW has used for over thirty years and it offers an asphalt oval track for the high-speed testing and then a slalom section to make it possible to put the handling features of a car through the paces to see what it will do and how it can perform. With testing of the new BMW Z4 being conducted at this location, the BMW team is able to put the car through its paces and offer us a convertible that certainly can be described as an ultimate driver. 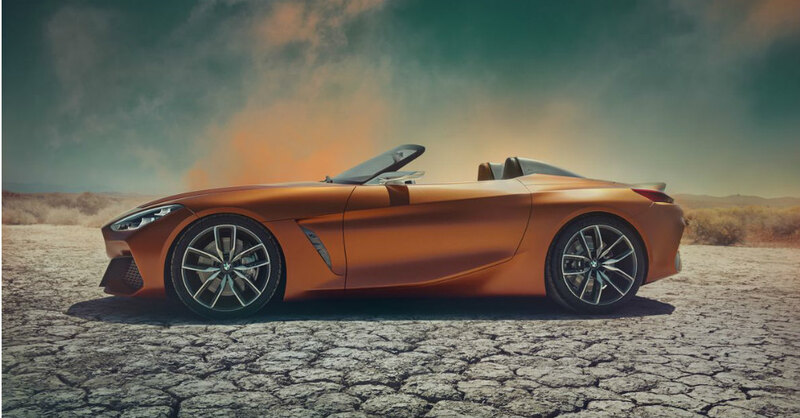 The new BMW Z4 M40i will feature a powerful inline six-cylinder engine, a set of electronically controlled dampers, lightweight M alloy wheels an M braking system, and an electronic locking rear differential. This combination of performance qualities allows the car to be a full package that has the performance you expect from a BMW that’s offered as a car that can be a lot of fun when you drive it on the road or take it to the track. BMW is building this car to be one that will consistently offer the agility you want and the driving dynamics you’re looking for. The use of a rigid suspension and stiff body makes it possible for the drive to be ideal and give you the performance you want when it’s time to drive. This car has a genuine sports car feeling and allows you to experience the benefits of acceleration in many ways when you take it out for a drive. The BMW Z4 is going to continue to be a car that tickles our imagination and makes it easy for us to admire and experience a great drive. Even though we’ve waited a while for the new BMW Z4 to arrive for the driving excitement this new model that’s offered for the 2019 model year will be worth the wait we’ve been put through. This car will wear the similar M40i badge that we’ve seen in other BMW models that all make use of a 3.0-liter turbocharged six-cylinder engine that makes a full 355 horsepower and 369lb.-ft. of torque. This is likely what we’ll see and it will certainly be fun to discuss when this ultimate sports car makes driving fun again.